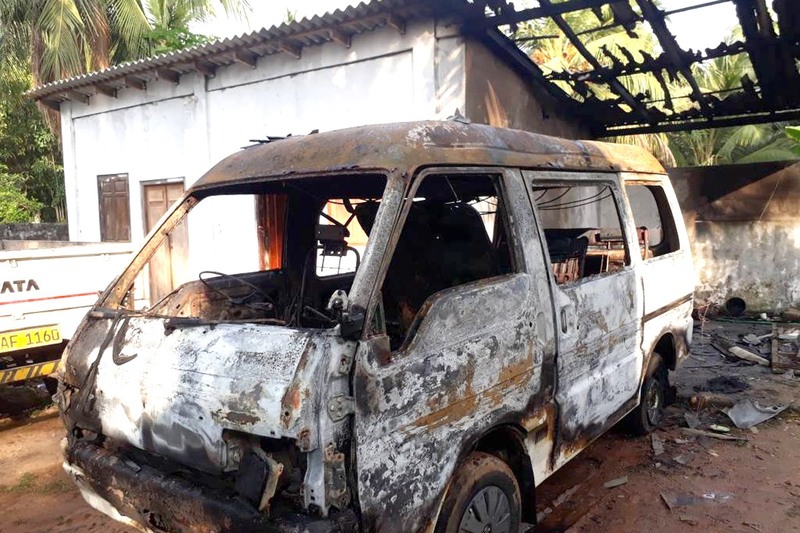 A Jaffna home faced its second petrol bomb attack on Monday, as a gang of six men targetted the house and vehicle parked in front. Witnesses reported seeing the six men arrive on motorbikes. Four went into the property and threw the bomb, whilst two waited outside. The house, situated in Nayanmarkaddu, was previously attacked in a similar manner. Locals expressed concern over the rising violence in the Jaffna area despite the ongoing heavy military and intelligence presence in the region.